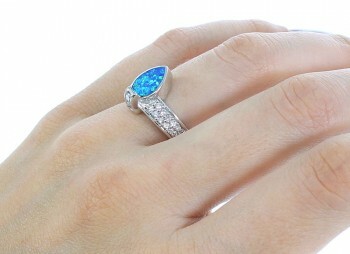 Sterling silver, Blue Opal, and Cubic Zirconia. Ring is size 8, it measures approximately 1/2" long and 7/8" wide. 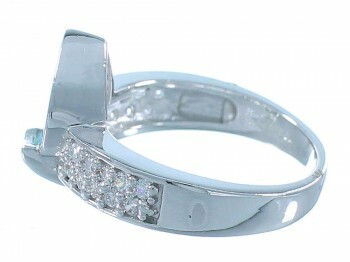 What a stunning ring! 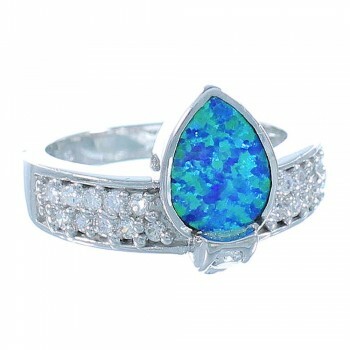 This ring is made out of genuine sterling silver, along with man made Blue Opal inlay, and Cubic Zironia. The inlay is carefully set in a silver setting, while being accented with a total of TWENTY TWO Cubic Zirconia stones that highlight the inlay for a beautiful look. 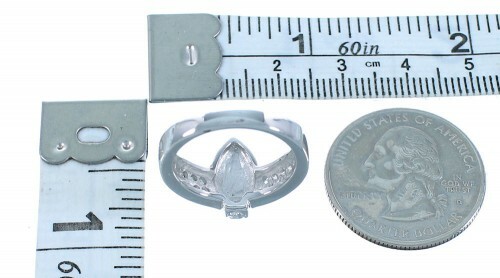 Ring is stamped .925 (sterling silver). Most people know Opal for it's distinctive play of color, it is semi-transparent solidified mineral composed of silicon and water, and it gets its name from the Latin word "Oplus" meaning precious stone. 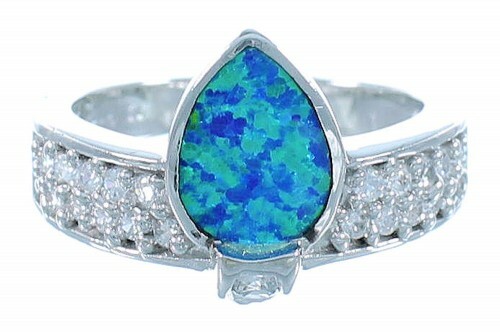 Opal is Octobers birthstone. It is believed to release self-consciousness allowing spontaneous action, and awakens ones psychic and mystical qualities.